Halloween happens every year, whether us green mamas like it or not. 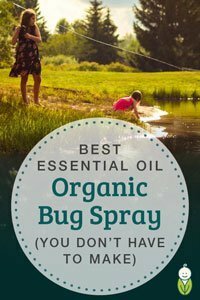 If your little ones are still babies, it’s pretty easy to ignore. But as they grow, they’ll want to join in the fun. It’s actually an opportunity to teach them about moderation and “healthier” options, which we list below. 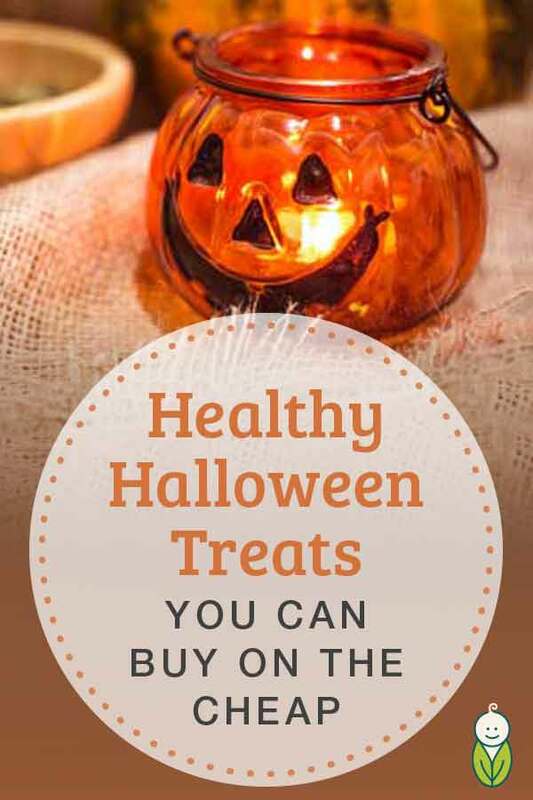 That way, kids can still have treats, and we can set an example by choosing organic which at least limits the amount of bad stuff in these treats. If you’re expecting a large crowd of kids at your door this Halloween, save by buying in bulk. The YumEarth organic lollipops are available in a 300-pack on Amazon for under $30. YumEarth is the #1 organic candy brand in the U.S. These lollipops are vegan, certified organic and free of gluten, peanuts, dairy, eggs, artificial colors, artificial flavors and high fructose corn syrup. 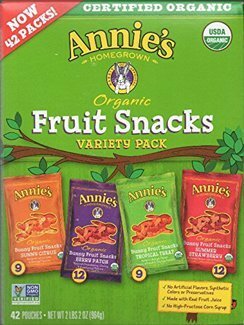 If you’re expecting under 50 costumed-kids at your door, Annie’s organic vegan fruit snacks are a great option for under $25. They’re made with real fruit & vegetable juices, certified organic, vegan and free of gluten, artificial flavors, synthetic colors or preservatives and high fructose corn syrup. 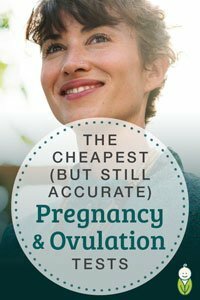 Want to keep costs down even more? Choose the YumEarth organic lollipops in a smaller size: 50 pops for under $10. What about healthy homemade treats? Well, they’re great for Halloween parties, but many people DO NOT allow their children to consume “homemade” treats they receive while trick or treating (and we agree). 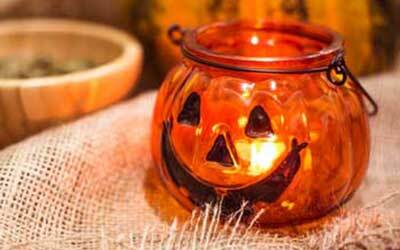 If you are having a party, check out these great healthy Halloween recipes here. Why not choose non-candy items to hand out? We’re green mamas, and we choose consumable options whenever possible. Glow sticks, little plastic bubbles, stickers and even pencils often just get added to the junk pile and eventually the landfill. If you can’t sew (or don’t have the time), purchase your kids’ Halloween costumes at your local consignment or thrift store. Hand out candy over non-candy treats for a great teaching lesson for your kids: natural, organic treats are o.k. and should be enjoyed on special occasions. Swap out some of your own kids’ candy with an educational toy or project to do. Limit the amount they have on a daily basis. The sugar content adds up quickly. No matter what it is: throwing away is wasteful. Donate a portion of your collected candy to the troops — because anyone who’s serving our country (thanks by the way) will indulge responsibly. Learn how to donate to the Operation Gratitude candy give-back here. Have any other tips for this crazy holiday? Please let us know in the comments below. Wishing everyone a safe and fun Halloween. Looking for more deals? 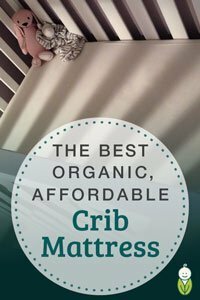 Check out our Deals page here.